The KV-S5055C-V scanner comes bundled with Kofax VirtualReScan Software to provide an all in one winning solution. of the KV-S5055C-V make it ideal for both large-volume and dispersed input scanning. 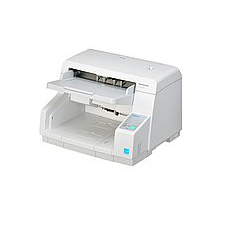 ToughFeed, Panasonic’s unique paper feed mechanism, also minimizes the possibility of damaging important documents and ensures precise feeding to make your office work even more efficient. The addition of Kofax VRS software significantly increases the set of productivity tools available for use. Combining VRS’s capabilities with the KV-S5055C-V functionality brings exceptional performance to all market applications.